LONDON — British police have appealed for witnesses to help find a jogger who pushed a woman into the path of a bus. London’s Metropolitan Police force released surveillance camera footage Tuesday of the May 5 incident on Putney Bridge. It shows a jogger in shorts and T-shirt banging into a pedestrian, who tumbles in front of a double-decker bus. The bus stops just before hitting her. Police say the woman saw the jogger running back across the bridge about 15 minutes later and tried in vain to speak to him. Officers are seeking a white man in his 30s with brown eyes and short brown hair. The driver really backed himself into a corner on this one. A video shot by a person from a hotel balcony above the Gardiner Expressway is making its rounds on social media after the footage showed a car slowly reversing in order to exit a ramp the driver missed. “From our hotel balcony, we see a car stop in the middle of the highway and start driving in reverse! We were on the edge of our seats! Epic win or epic fail here?” read the YouTube description of the video, that as of Tuesday afternoon, reached in excess of 6,600 views. The one-minute-and-42-second video shows a light-coloured car creeping backwards on to what appears to be the westbound Spadina exit at night time. When the driver sees there aren’t vehicles coming behind him, he speeds up and eventually veers right and exits off the ramp. The person who uploaded the footage on Monday — who goes by the name Sombusiness — could not be reached for comment. The Gardiner has a speed limit of 90 km/h. Toronto Police said there isn’t enough information to conduct a search to determine if anyone called officers, said Traffic Services Const. Clint Stibbe. Stibbe said the driver could be charged for reversing on a highway, at a minimum. If there was a collision and someone was injured or killed, then the motorist could face a criminal charge. The fine for backing up on a divided highway is $85 and two demerit points. A YouTube video captured a driver reversing on the Gardiner Expressway. Shocking footage captures the moment a truck loaded with steel rods crashes into a toll barrier along Mexico’s La Marquesa Lerma highway. The crash injured seven people, some of whom were working to repair an area already damaged by a crash in April, Se Uno Noticias reports . CCTV footage of Friday’s incident emerged Monday when it was posted to a Toluca road traffic page by E Fabian Lozano. A dashcam video captured a driver’s close call with a plane crashing in Markham on Tuesday. From seemingly out of nowhere, the small plane swoops into the frame, narrowly missing a vehicle travelling on 16th Ave., near Hwy. 404, north of Buttonville Municipal Airport. The video was posted to Instagram account 6ixbuzztv. 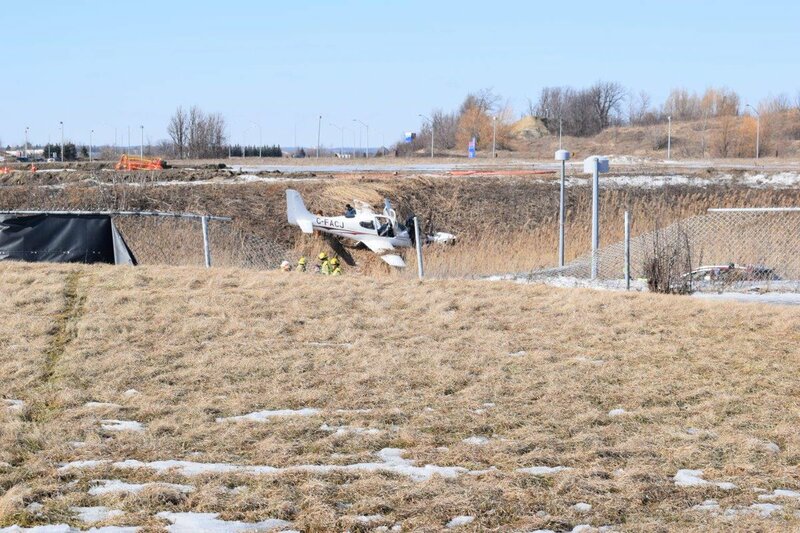 The Transportation Safety Board said the “private single engine Cirrus SR20 aircraft received significant damage during a runway excursion” at the airport around 2 p.m. The two occupants of the plane, a male instructor and a female student, were treated by York Paramedics. The driver was not hurt. The plane was reportedly practising touch and go on runway 33 when it crashed. Roads were closed in the area during the investigation. Nobody ever claimed cops are bright. You fake against also Europeans as they were able to speak other languages outside of England. You whine over Alternative against his non-English being but he just avaible telling Swedish stories.